Watch for our upcoming May events next week! 15% off all batiks in stock* excludes the newest Forest Floor batik line. Kit includes pattern, quilt top fabric, & binding. If you are interested in joining us for this program - please be sure to pre-sign up so we know how many kits to prepare! 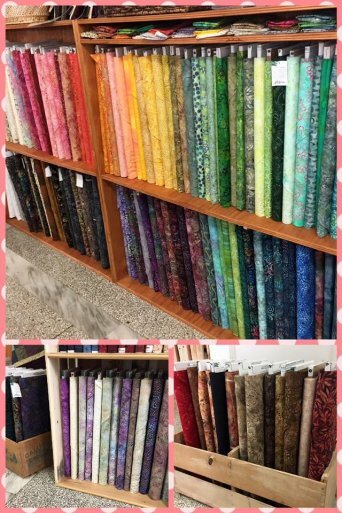 Give us a call at 308-344-9389 or email us at juststitchin2014@gmail.com To see the gorgeous fabrics used click here! For those of you who aren't local - we ship! Sign up for monthly auto-shipment by calling the store! We would love to add you to the list! 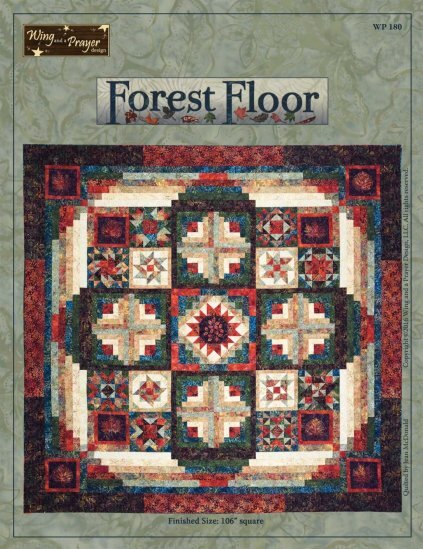 Unsure of the difficulty level but love the quilt? Join us the first Thursday of every month to work on your blocks! The next Count Your Blessings Mystery block - releases tomorrow! Watch our Facebook for a picture and check the wool applique group tomorrow for the latest pattern! I hope you have a blessed weekend! We are spending some much needed time in Big Sky country - where the sky is the bluest of blue! Have a great weekend and I'll see you all next week!